Some questions answered, still more raised. As the 2018 election cycle nears, it appears Texas and its legal foes are headed for a trial — yet again — over what the state’s House and congressional boundaries will look like, and it will likely come this summer. 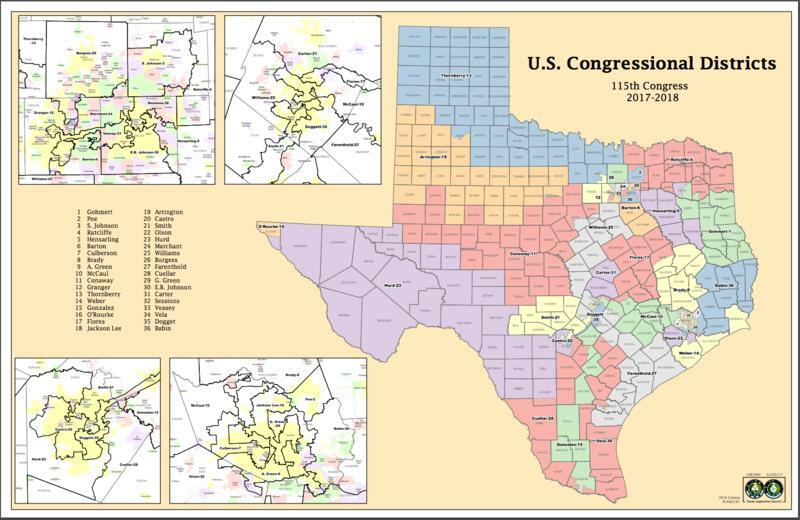 His comments followed a lengthy and complicated hearing Thursday over the fate of the state’s 2013 House and congressional maps — a high-profile status conference that followed a pair of federal rulings that Texas lawmakers intentionally discriminated against minority voters in initially drawing each map in 2011. That order, Garza said, would likely include a target date for the trial, setting up the latest battle amid six years of wrangling — laced with confusion — over the state’s recently drawn maps. Attorneys on both sides Thursday suggested they could be ready in July or August. Local elections administrators say they need clarity by October to meet deadlines for sending out voter registration cards, and December is the filing deadline for candidates. See here for the previous update. The state argues that the 2013 map fixes all the ills of the 2011 map, while the plaintiffs point out that several of the districts in both current maps that were cited in the decisions are identical or nearly identical to the 2011 version. So off to trial we will go, and I would assume the order on Monday will spell out a schedule. In the meantime, the Republican strategy will be to stall and delay and hope to run out the clock, and not just for this cycle. We’ll see what the court says on Monday.